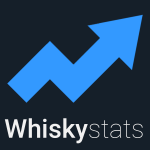 To support the first ever whisky auction live podcast, we used the whiskystats database to predict the prices for some lots of the most recent Whisky Auction‘s online auction. The hammer fell last Saturday (9th of January 2016), so now it is time to compare our predictions with the actually achieved prices. Some weeks ago the idea was born to make a live coverage of bidding at an online auction. Steven Zeller, also known as SmokyBeast, teamed up with some fellow whisky collectors to create the first ever whisky auction live podcast. The result is an entertaining recording of them as the talk shop about their intended bottles and fail and win as they bid on them. You can find the podcast on soundcloud. To support them, we estimated the prices of some of their objects of desire prior to the auction deadline. As this is the first time we officially used our database to estimate future auction prices, we are thrilled to see how accurate these preditictions were. The following predictions are the exact wording we gave to SmokeyBeast & Co. three days prior to the auction. The results are the hammer prices for the single lots. We marked the results green if we were happy with our prediction, brown if it was not too bad and red in all other cases. Result: 171€ We slightly overestimated the price. It bounced back to the level of the mid of last year. Result: 600€ Spot on! October’s 775 Euro were indeed only an outlier. Result: 340€ The downward trend continued. Lowest ever recorded price. True bargain or about to lose more value in the upcoming months? Laphroaig 21yo (60th Anniversary Bottling) Douglas Laing & Co. Result: 405€ Slightly above our prediction, but when considering our improvised price projection method not that bad indeed! Result: 371€ Again slightly above our prediction, but again we are pretty happy with our price projection method. Result: 605€ Although we expected a price above 400 Euros, we honestly did not have 600 Euros in mind. Port Ellen The Old Malt Cask 23yo (Vintage 1978) Douglas Laing & Co. Result: 375€ Obviously, our rude price projection method is not impeccable. Result: 255€ No surprise, and only slightly above our predicted interval. Result: 131€ Looks like the prices indeed stabilise on that level. Result: 400€ We have to admit, this was a pretty lucky guess. So this was the roundup of our first little auction prediction. We really enjoyed seeing our database in action and are pretty satisfied with it’s prediction capabilities. Actually, our predicitons were only guesses based on the whiskystats price observations and indices. We are looking forward to the next auctions and maybe we can improve the precision of our predictions. This topic contains 0 replies, has 1 voice, and was last updated by Whiskystats 3 years, 3 months ago.